Stepping up to the decks for our 46th mix is duo Silent Dust, a pair of producers who have been making waves within the DnB scene for the past 10 years. DJ Absurd (Rinse FR) steps up with a banging mix for our 45th in the UKBMix series. 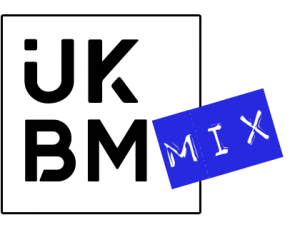 Subtle FM selector and producer B-Say brings us our 44th UKBMix and it’s an absolute pleasure to host this one. Showcasing some of the scene’s most innovative and exciting artists. Stepping up to the 1s and 2s this time round is Bristol based DJ/Producer Sinister. Featuring music from many dubstep dons from Youngsta to Eva808, this mix will get any dubstep fans head nodding. Today see’s the release of our 40th UKBMix, and this time round, US based artist Max Mischief is in control.